Whites are versatile, timeless and have the power to make a space feel more spacious and fresh. But the wrong white can look stark, drab or can have undertones that simply don't work with your chosen wall colour. 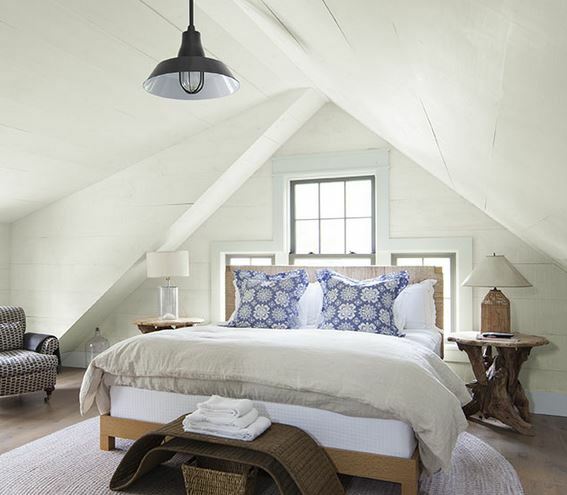 Whether you are looking for a white for ceilings and woodwork to harmonise with your chosen wall colour, or you're looking to create a bright and fresh all-white space, this guide will help you to choose just the right white for your project. 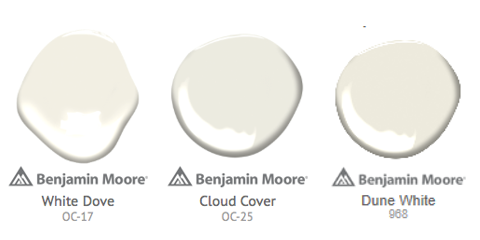 The brightest white in the Benjamin Moore palette is Chantilly Lace OC-65. This is a simple, clean white with none of the cold blue undertones so common in other "brilliant whites" which make them feel stark and clinical. 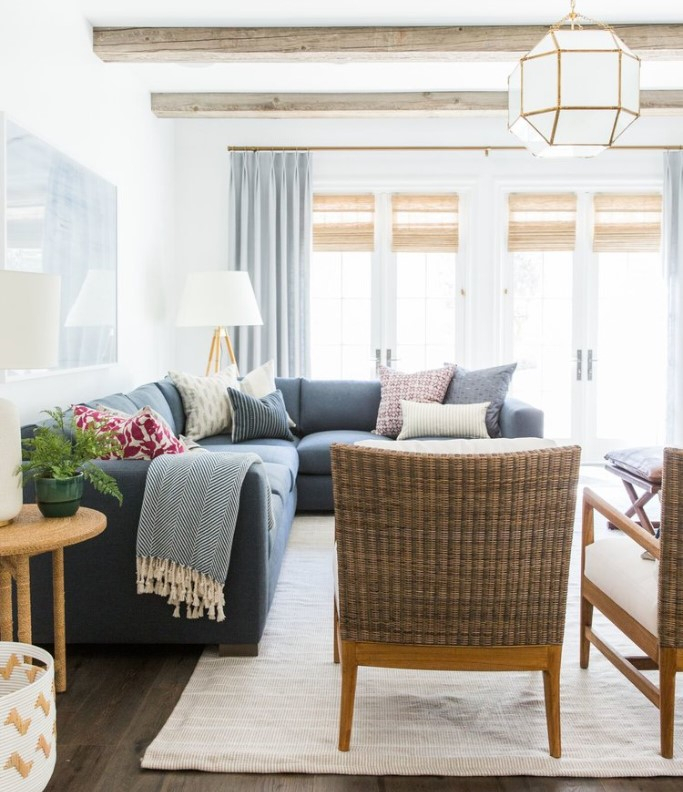 This pure whiteness means Chantilly Lace is great for all-white spaces but it also sits comfortably with pretty much every other hue, so it is a safe choice for woodwork and ceilings, if you are uncertain what to choose. Next up is Super White PM-1 or OC-152. This is the Benjamin Moore colour that is most like a standard "Brilliant White" and for that reason is the "go-to" white for most professional painters. Americans tend to like more muted and softer whites, so the Benjamin Moore colour called White PM-2 or OC-151, is noticeably greyer. It works fabulously with other muted tones and gives a much softer feel to a scheme. Studio McGee chose Chantilly Lace OC-65 for this sitting room. Muted whites have a subtle grey undertone and give a softer, more contemporary feel. Muted whites work well as the woodwork and ceiling colour in bright spaces in combination with a muted wall colour. Muted whites also work well as a wall colour in brightly lit spaces to give a spacious feel without being too stark. Three of our popular muted whites are White Diamond OC-63, Decorators White OC-149 and Distant Gray OC-68. These whites have a subtle yellow undertone that make spaces feel warm and sunny without looking too creamy. The lack of any grey pigments keep the colours feeling clean and fresh. These colours are ideal for north facing spaces or spaces without too much light, because they are bright and uplifting. Warm whites such as Simply White OC-117, Mountain Peak White OC-121 and Cotton Balls OC-112 have undertones of red and yellow, resulting in a soft glow and welcoming mood. Warm clean whites work well as a woodwork or ceiling colour when paired with a wall colour with yellow, orange and red undertones. In contrast to the warm clean whites, these colours have both grey and yellow undertones. They create a more contemporary feel than their cleaner counterparts. Warm muted whites such as White Dove OC-17, Cloud Cover OC-25 or Dune White 968 are stunning in all-white spaces, especially when layered with natural colours and textures in throws, pillows and fabrics. 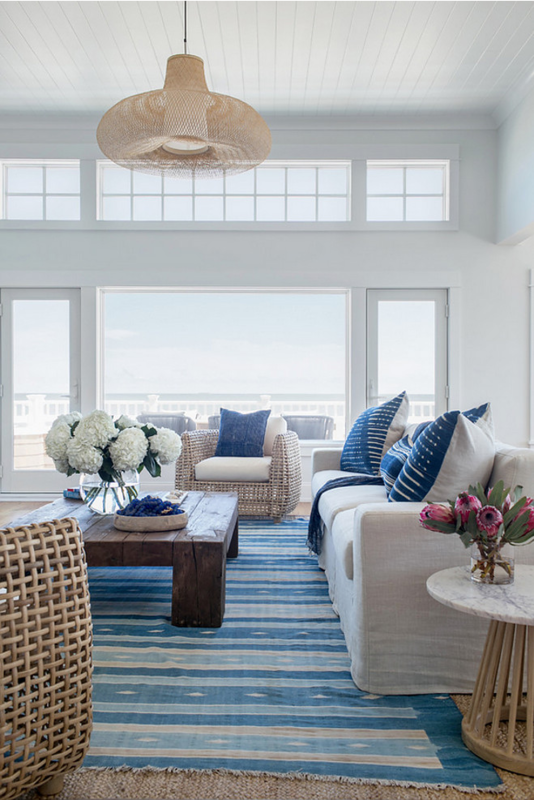 They are especially suited to spaces with a lot of natural light to create a soft, calming feel. For woodwork and ceilings, warm muted whites work with muted colours from across the colour spectrum. Cool whites have undertones of blue, green and grey, creating a space that looks crisp, clean and luminous so they are a great choice for contemporary, minimalist spaces or in combination with green, grey or blue walls colour and accessories. Cool whites such as Ice Mist OC-67, Snow White OC-66 and Winter Snow OC-63 will anchor bright, deep and saturated color schemes. Here, Ice Mist OC-67 creates a crisp, contemporary look with Patriot Blue 2064-20 and Black Ink 2127-20 used to create a striking contrast. 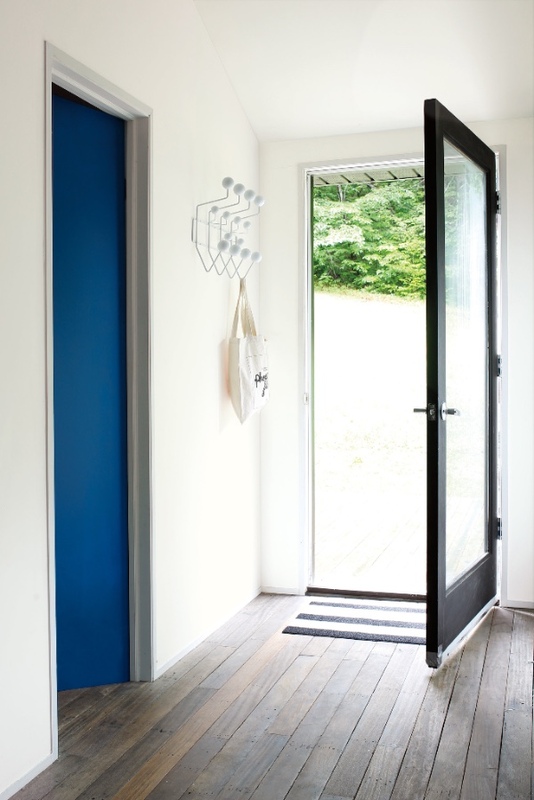 Walls in Ice Mist OC-67, Front Door in Black Ink 2127-20, Interior door in Patriot Blue 2064-20. Colour flow is the concept of using colour to connect adjacent spaces in your home to give a harmonious feel throughout. Colour flow is made easier by selecting a core white for ceilings, woodwork and doors, especially when a home has open plan spaces with no obvious place to change from one colour to another. Make sure the white you choose works with the colours you've chosen for all the spaces. Remember that red and yellows harmonize with warmer whites, while greens, grays and blues synch with cooler white paint colors. To see our full palette of 152 whites and off-whites, click here.